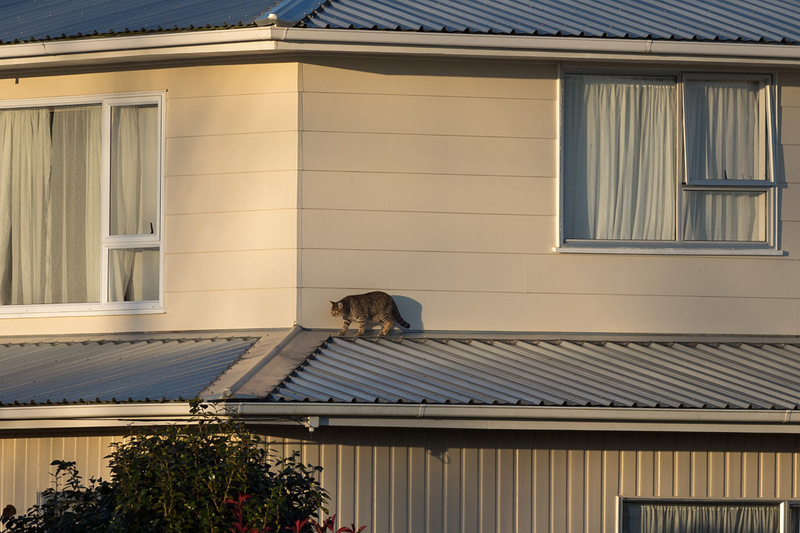 The day was hardly warm, but one of the cats next door knew where to get the last of the afternoon sun. I love the way a cat can bring a scene to life. Cats. Can't imagine our lives without them. gz, yes, true. Fortunately this roof isn't a good ambush site. I do worry for the birds, which haven't had cats around for a few years. Zhoen, a world without cats is unthinkable. Barbara, I know that feeling well.